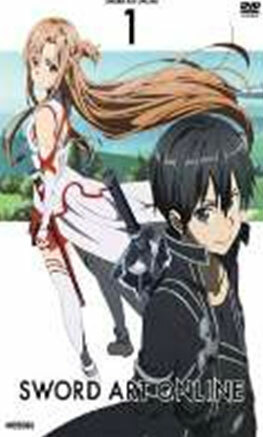 SANTA MONICA, CA (October 7, 2013) –This month, Sword Art Online fans will be treated to something special. Aniplex of America has just announced they will be hosting a special Sword Art Online “Watch and Win” contest on Adult Swim’s Toonami™. Viewers will have the opportunity to win a wide variety of prizes including Sword Art Online Blu-ray sets and DVDs. 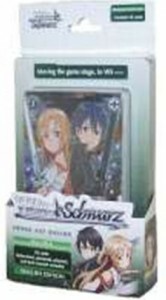 Other prizes include Sword Art Online Weib Schwarz trial decks from Bushiroad. Three special grand prize winners will receive a brand new 3D Personal Viewer courtesy of Sony Electronics. The New Sony 3D Personal Viewers will let fans submerge themselves into the world of Sword Art Online as if they were Kirito and Asuna. 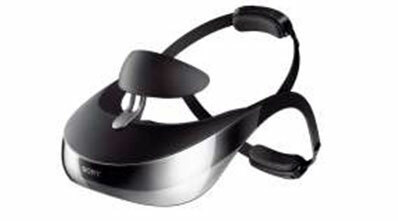 With the Sony 3D Personal Viewers fans can experience entertainment in a brand new way. This is a special opportunity to win some great prizes while watching Sword Art Online. To enter, viewers would need to tune in and watch Sword Art Online on Toonami™ Saturday Nights at 2:00am EST/PST on October 20th and 27th and look for the keyword shown immediately after the show. Viewers will then enter the keyword on the entry form on the Sword Art Online Contest Page (www.aniplexusa.com/contest). 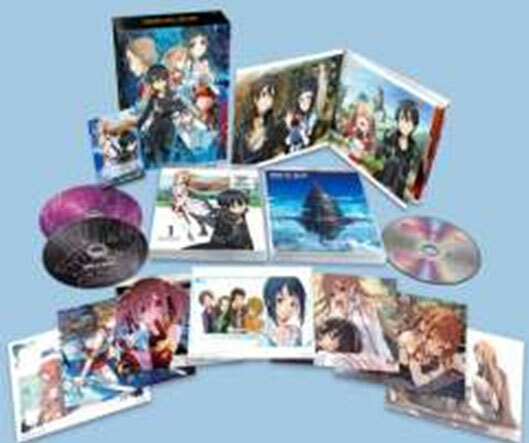 Be sure to watch Sword Art Online on Toonami™ and don’t miss your chance to watch and win from Aniplex of America! 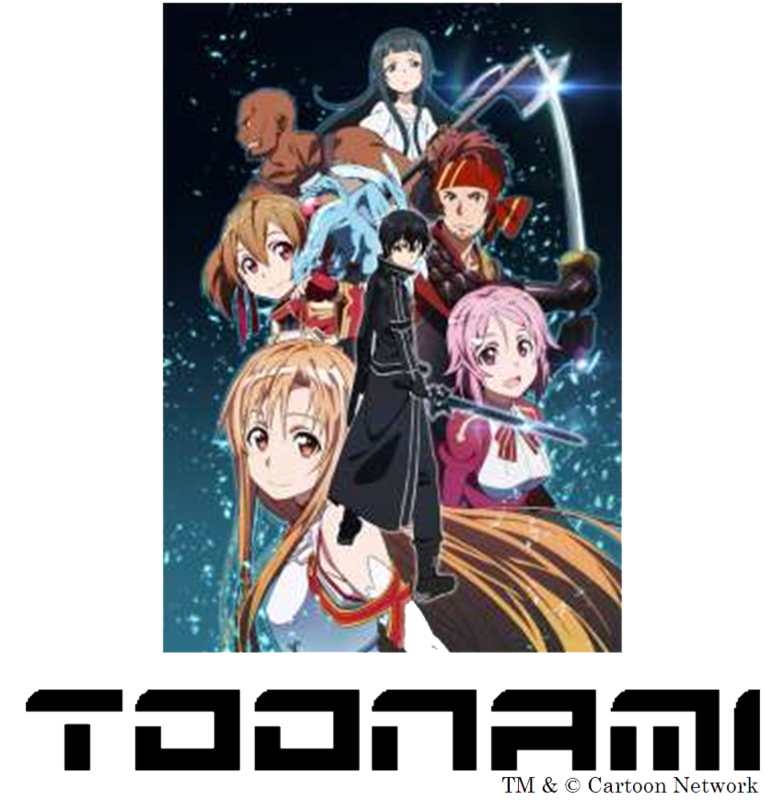 Sword Art Online is an anime adaptation of one of the most popular light-novel series (Dengeki Bunko / ASCII MDIA WORKS) written by author Reki Kawahara. The story is set in a not-so-distant future where people are able to play video games more realistically with the emergence of the NerveGear, a virtual reality generating device, which the players wear to stimulate their senses to control their avatars in the world of the game. Kirito is an experienced player who was excited for the release of the new Virtual Reality Massive Multiplayer Online Role-Playing Game (VRMMORPG), Sword Art Online, a.k.a. SAO. But, when Kirito and all the other players logged on to SAO for the first time, they quickly realized that something was not right. The creator of the game, Akihiko Kayaba, reveals to them that they will not be able to leave the game world unless they defeat the final boss atop a tower that is 100 floors high! To make things worse, Kayaba informs them that if a player dies in the game, he or she will also die in the real world. Now Kirito must fight along with players to defeat the boss and free everyone from Kayaba’s dreadful ploy. Kirito and his friends will soon learn that Sword Art Online is more than just a game. Aniplex of America Inc. (Santa Monica, California) is a subsidiary of Aniplex Inc. (headquartered in Tokyo, Japan), a group of Sony Music Entertainment (Japan) Inc. and leading provider of anime content and music production and distribution in Japan. Aniplex of America has launched fan-favorite DVD and Blu-Ray releases such as Sword Art Online, Bakemonogatari, Durarara! !, Puella Magi Madoka Magica and Blue Exorcist. The company’s ever-growing line-up of shows includes our most recent titles Kill la Kill, VALVRAVE the Liberator, Magi, Oreimo 2, Silver Spoon, ServantxService and Vividred Operation. Wirelessly connect your Smartphone, tablet, mobile device, PC, gaming console and watch your favorite 2D and 3D entertainment across a simulated 750-inch screen with virtual 7.1 surround sound. About Bushiroad Group Publishing Inc.
Bushiroad Group Publishing Inc. consists of 5 sub-entities: Bushiroad Inc., Bushiroad South East Asia Pte Ltd, Bushiroad USA Inc., Bushiroad Media, and New Japan Pro-Wrestling Co., Ltd. Bushiroad Group Publishing Inc. currently holds the licenses for Milky Holmes, BUSHIMO, Fire Leon and My Little Pony: Friendship is Magic in Japan. Bushiroad South East Asia Pte Ltd was established in Singapore on November 12, 2011 in order to expand the overseas market for Bushiroad card games such as Cardfight!! Vanguard, Weiβ Schwarz, Future card Buddyfight and other titles. Bushiroad USA Inc. was established in Los Angeles, California on May 18, 2012, to support the growing demand and interest in Bushiroad titles from both players and retailers in North America.